Are you an earth shaker? 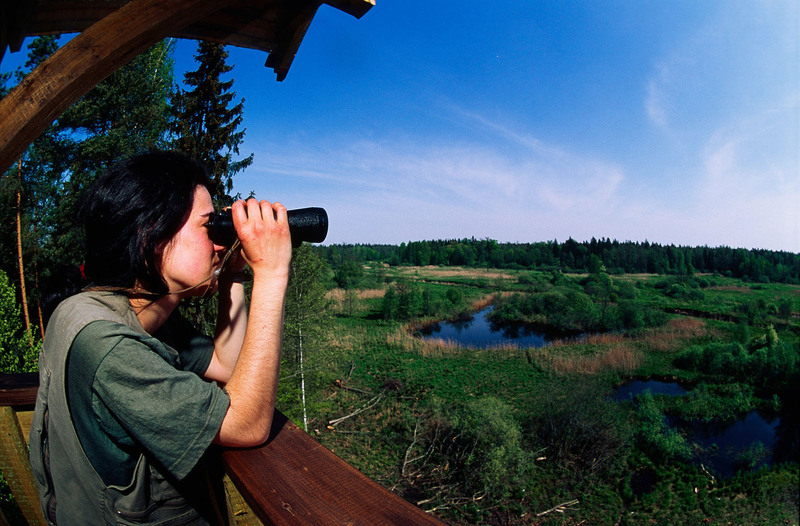 Love wildlife and wild places? World Wildlife Fund is seeking an elite squad of conservation advocates to look out for wildlife and the places they call home. As a Panda Ambassador, you will be on the front line of WWF's mission to conserve nature and tackle the most pressing threats to the diversity of life on Earth. For more than 50 years, WWF has been protecting the future of nature. Our unique way of working combines global reach with a foundation in science, involves action at every level from local to global, and ensures the delivery of innovative solutions that meet the needs of both people and nature. We work in 100 countries and are supported by more than 1.2 million members in the United States, and 5 million supporters globally. The actions we take in the next few decades are critical to the future of wildlife and people. Given the dramatic impacts of our growing human footprint on species, forests, oceans, freshwater systems, food, and the climate, the stakes couldn't be higher—and we must work faster than ever before. Together with our partners and supporters, WWF is redoubling our conservation efforts, using our distinctive strengths to achieve bigger, farther-reaching results with greater speed. 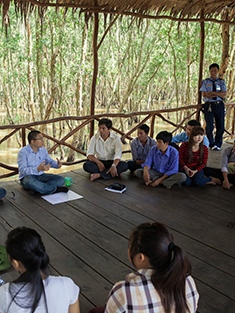 WWF supporters help us advocate for conservation-focused change with governments and international institutions. 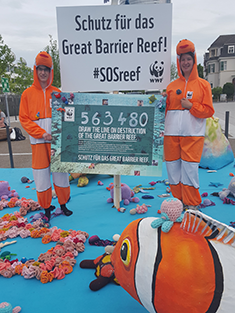 Whether we are trying to protect wildlife from extinction or prevent policy changes that would harm our planet or are working to get new initiatives started on the ground to collectively see change happen for our communities, WWF activists are there every step of the way. In September 2014, almost 400,000 people took to the streets of New York City in an unprecedented demonstration of solidarity to demand climate action from world leaders. 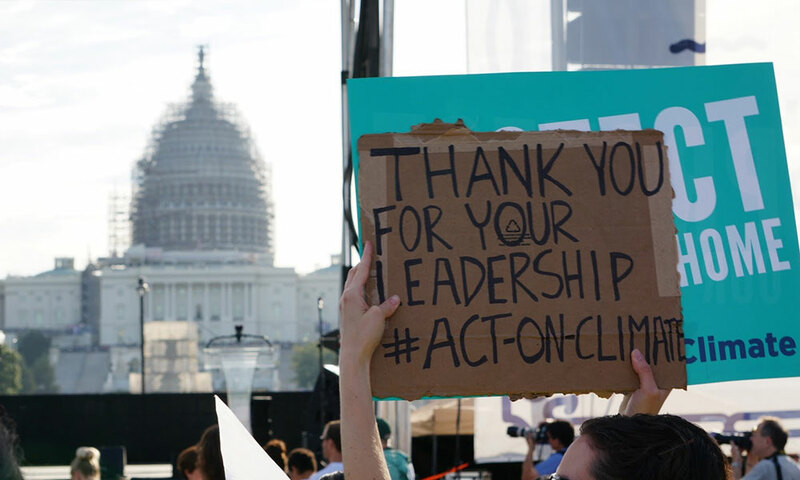 In September 2015, WWF and supporters drove momentum toward global climate action at the rally for climate justice during the Pope's address of Congress. 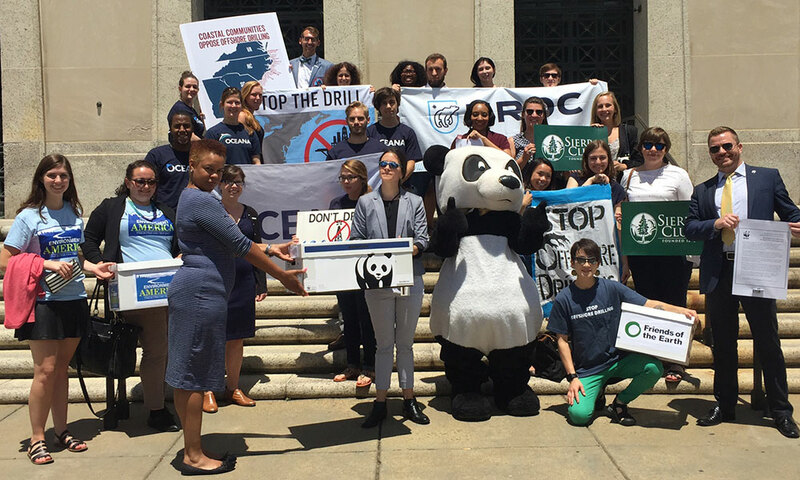 And in May 2016, WWF and supporters took to the streets of DC to rally for permanent protection of the Arctic with no new oil and gas leasing. Elephants number among a vast array of animals hit hard by a global poaching epidemic that's emptying the world's forests, savannas, rivers, and oceans of amazing wildlife. Poachers kill as many as 30,000 elephants each year. 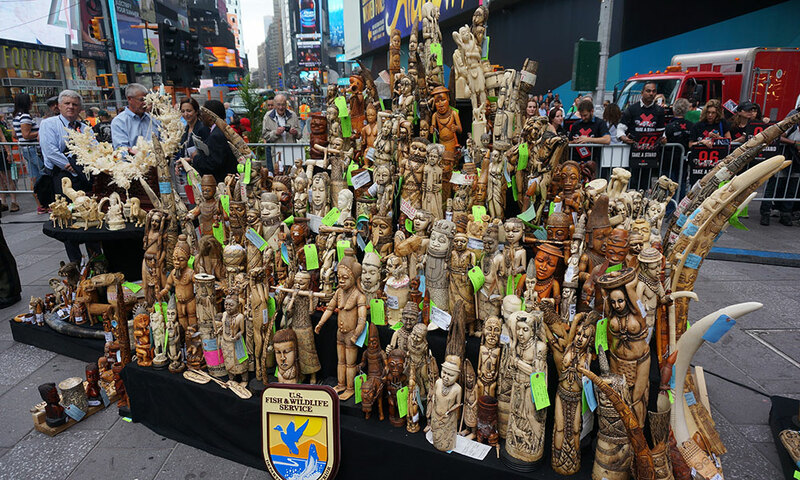 To help illustrate the dramatic issue of elephant poaching, WWF worked with the USFWS to do a massive, public ivory crush in Times Square. Select WWF activists were given personal invitations to attend the event as our guests. WWF gives Panda Ambassadors exclusive access to our experts at the annual Fuller Symposium, an event that brings together thought leaders from an array of fields to tackle our planet’s most urgent conservation issues. A behind-the-scenes tour of WWF’s headquarters and a special reception with the speakers round out this unique learning experience. Panda Ambassadors share their passion for wild animals and wild places any opportunity they get. 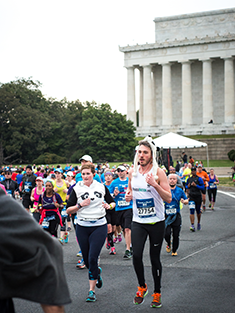 Many become champions for nature by starting a fundraising campaign around athletic events, birthdays, and other important moments in time with Panda Nation. They help raise awareness and bring new activists into the fold. 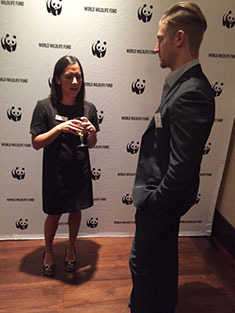 WWF taps Panda Ambassadors at crucial and high-level moments of action. 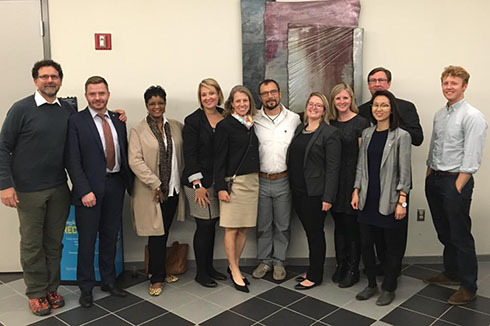 When the US government put the Arctic’s Beaufort and Chukchi seas on the table for risky offshore drilling, our ambassadors attended private Senate and House briefings on Capitol Hill alongside WWF staff to fight measures that would impact vital wildlife. We sat down with six of our WWF Panda Ambassadors to learn why they stand up for wildlife and wild places, what they’d like to see from United States leadership, and how they instill their passion for conservation in others. Take some time to listen to their stories.